Ten years is a long time in TV tech: the 2006 T3 award-winning plasma TV, the Panasonic TH42PX60, had just two HDMI inputs and a resolution of 1,024 x 768. This year's finalists boast an array of acronyms including UHD, HDR, OLED and 4K, and they're all a good bit bigger than 42 inches. It's astonishing how much TV tech has changed in the last ten years, as our pick of the previous winners demonstrates. Pioneer's plasma was significant because of its resolution: where LCD screens had been offering 1,920 x 1,080 Full HD resolutions for some time, fitting that amount of plasma chambers into a comparatively titchy 50-inch panel proved to be a serious challenge. Pioneer managed it, though, developing a whole new electrode design to prevent misfiring. Unusually for the time it didn't boast a tuner or speakers; it was designed to be connected to set-top boxes and separate speakers, anticipating the Sky Q and soundbar world we're in today. The PDP-5000EX wasn't cheap - prices were north of £5,000 - but that's early adoption for you. Remember 3D TV? It may be rapidly receding in tech's rear view mirror, but at the turn of the decade it was a really big deal. Samsung kicked it all off with its C8000 series, but it was the 2011 D8000 that really got it right. By focusing on a slimmer bezel rather than a slimmer back Samsung was able to make a 55-inch screen fit in much smaller spaces than many rivals - handy for those of us whose AV ideas are a lot bigger than our rooms - and the D8000 also boasted the best implementation of the much hyped Smart TV we'd seen. At the time we said it was “truly beautiful”, with “impeccable picture quality” and a “huge host of TV apps”. “Say hello to the future of TV,” we said, introducing the £5,999 KD-65X9005A. The world's first 65-inch 4K Ultra HD TV was “potentially the harbinger of a new era of TV image quality” with a “sensational” design and a screen that set “a new benchmark for picture quality”. It was great for games too, with The Last of Us looking much more lush than on similarly sized and specified plasmas and no sign of the hopeless lag that plagued gaming on some rival sets. It even sounded good, which is something you can't say about very many ultra-thin TVs. 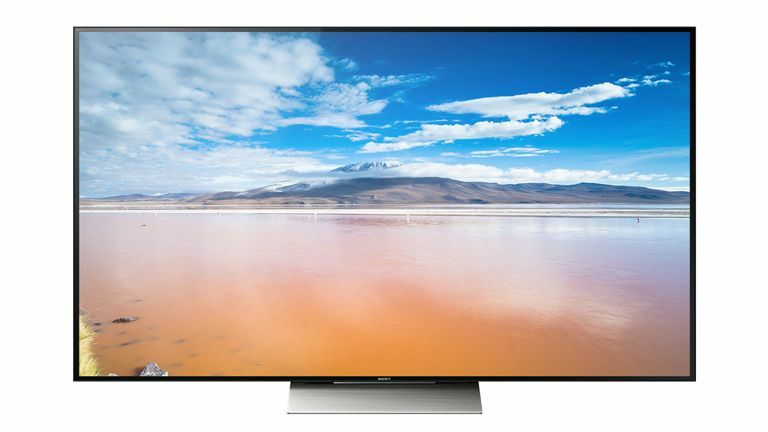 There seems to be a bit of a trend among our TV award winners: LG's 65-inch EC970V has an RRP of, you've guessed it, $5,999. In our review, we said that “the first reaction of almost anyone lucky enough to witness the 65EC970V in action is usually sheer awe.” That's because LG is working with OLED displays, delivering contrast that “makes the efforts of even the best LCD and even old plasma TVs look half-baked”. The panel is impossibly thin yet boasts “a sense of dynamism, naturalism and realism that starts to make you think TV perfection has finally arrived” - and thanks to Harman Kardon's involvement, it's got a four channel, 40W sound system too. Whatever TV wins our awards this year, it'll have to clear the very high bar set by the LG EC970V. That won't be easy. This year, the finalists are Sony's HDR XD93, OLEDs from Panasonic and LG, Samsung's 4K JS9500 and Philips' inspired Ambilux. Will one of them win, or will the ridiculous value for money of Hisense's £2,500, 75-inch, 4K M7900 get the gong? There's still time to vote for your favourites and maybe even win a MacBook.